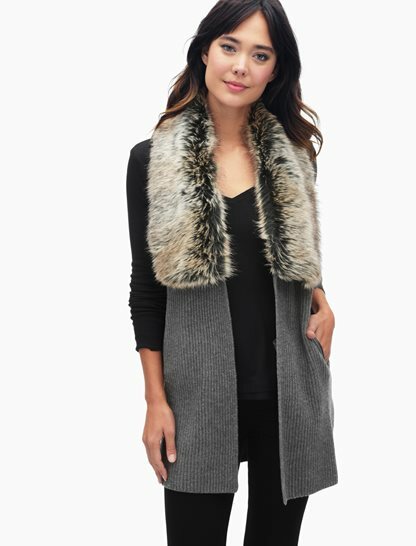 Soft faux fur accents the collar on this ribbed knit vest. Perfectly tops off any cold weather look. Cozy and comfy. Perfect for everyday wear. Cozy layers never looked so good! 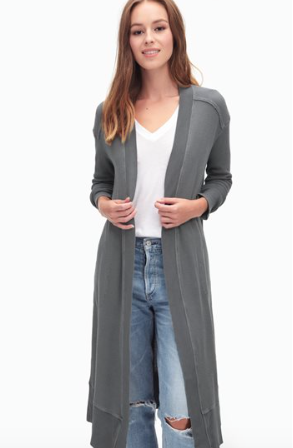 Perfect for crisp fall weather.